Next up on the board, a 55-year-old male with a temperature of 102.3, heart rate of 119, and blood pressure of 89/50. Sick versus not sick? Clearly sick. After that, 45-year-old male, with a temperature of 100.1, heart rate of 110, and blood pressure of 120/80, and who is also a cancer patient. Sick versus not sick? Hard to tell, right? Cancer is a frequent comorbid condition that presents to the emergency department (ED), and researchers are just now starting to demonstrate the association between emergency medicine and the outcomes for cancer patients. The most common symptoms that are brought through our doors are shortness of breath (23%), pain (18%), fever (14%), and nausea/vomiting (14%). From the same study, the investigators found out that approximately 60% of the patients were admitted, 47% of patients subsequently died after admission to the ED, and the 1-year overall survival of all patients seen in the ED was 7.3 months. A 58-year-old Caucasian male was brought into a community emergency department via ambulance for evaluation of sudden onset left leg pain and right leg numbness. He stated that about five hours earlier, he had begun to experience severe sharp pains shooting down the entire length of his left leg. His right leg had initially felt like pins and needles, but prior to arrival had gone completely numb, to the point that he was unable to lift it. He denied recent trauma, back or abdominal pain, or urinary or stool incontinence. Upon further review, we learned that he had a history of stroke, abdominal aortic aneurysm with graft repair, hypertension, and diabetes. He was taking the associated medications for these conditions, which did not include an anticoagulant. He had no prior history of tobacco, alcohol, or drug use. 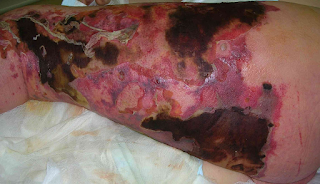 Necrotizing fasciitis is a rare but potentially fatal dermatologic infection that emergency physicians must be able to promptly recognize and treat. Misdiagnosis of necrotizing fasciitis is common, with 41% to 96% of cases falsely identified as a less serious soft tissue infection (such as cellulitis or an abscess). 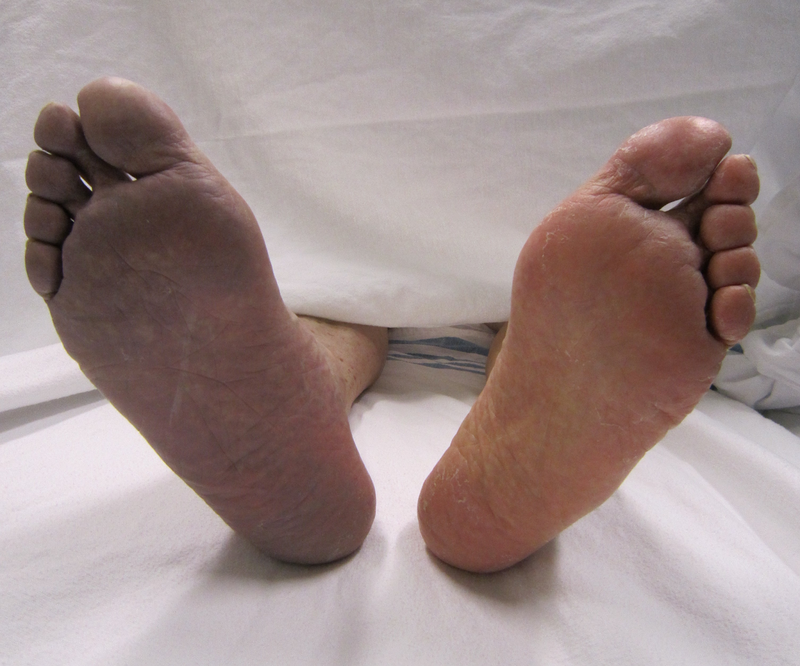 Failure to treat necrotizing fasciitis can lead to sepsis, organ failure, and death. Therefore, it is imperative to have a low threshold for diagnosis. RSA is proud to share the following essay from one of the 2016-2017 Medical Student Scholarship winners, Yasmeen Elmelige. We felt this essay best exemplified why she is choosing EM as a specialty. Congratulations, Yasmeen! Lights flashed and sirens blared as we sped through downtown Atlanta, Georgia. We were responding to a call for a “74 year-old sick male.” My heart pounded as I pulled on my gloves, grabbed equipment, and jumped out of the truck. Within minutes of our arrival, the patient’s heart stopped and I was directed to start CPR. Within a minute, I was sweating and my muscles were already exhausted, but all I could think of was “hard and fast, 30 to 2.” Still, no pulse. We loaded him onto the ambulance and raced towards Grady Memorial Hospital where the Emergency Department (ED) staff began pushing medications and trying to resuscitate him. I stood back watching, absorbing everything. “We have a heartbeat,” someone yelled and I sighed in relief. Suddenly I heard “V-fib, begin CPR!” Five minutes later, the attending physician called time of death. I stood frozen, speechless, and numb. One minute he was here, and the next, he was gone. I watched helplessly as the deceased man’s wife received the news of her husband’s death and tears flooded her eyes. I could only imagine how she felt as even I, a first responder with no relation to this man, felt the stinging, heart-wrenching pain of his passing. I knew that her grieving and healing processes were just beginning. The eyes do not see what the mind does not know,” a common saying many of us have come to hear in medicine. A simple and powerful aphorism illustrating the fundamental connection between awareness and intelligence; it urges us to keep reading and expanding our education. The connection between study and clinical success may seem obvious, and even elementary, but one cannot dismiss it as reductive. 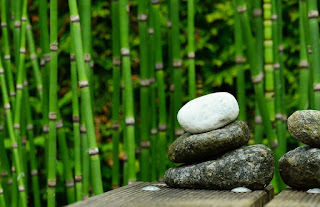 A deeper proverb is speaking here about the connection between mind-body, or more specifically, consciousness and well-being. We all know the feeling after a long day, with energy running low and emotional barriers wearing thin, of being “brain-dead.” The medical community has been forced to deal with this in recent decades, most prominently and publicly with residency duty restrictions. Now this November with conclusions by the Accreditation Council on General Medical Education (ACGME) task force that 24-hour call (with 4 additional hours allowed for transition) for first-year residents does not affect patient care, it’s even more relevant. Their recommendation has found support in the idea that increasing number of handoffs and transitions of care could result in an actual rise in medical errors. A 24-hour shift may also be desirable to some, as one long shift with a day off after may seem better than to two rigorous 16-hour shifts abutted. Though the ACGME has requested public discourse on this topic before making its official 2017-2018 recommendations on December 19th, it’s likely these changes will take affect and highlights the importance of maintaining healthy balance heading into residency. After all, these hours are already the standard for PGY2 and beyond, thus it’s only a matter of time. 53 year-old female presents with chief complaint of neck stiffness. She states that while rolling cigarettes the previous day, she had an abrupt onset of a headache, which she describes as diffuse, dull, and of moderate intensity. She denies a thunderclap headache, but states it is “different” than her typical headaches. The pain continues to radiate down the posterior aspect of her neck, and while her headache has improved since yesterday, her neck pain has worsened. She has a significant past medical history of diabetes mellitus type 2, hypertension, morbid obesity, bipolar disorder, and previous deep vein thrombosis (DVT), and takes insulin, metformin, lisinopril, aripiprazole, fluoxetine, and buproprion for her conditions. Family history is remarkable for her maternal grandmother dying from a cerebral aneurysm. On physical exam, she has a blood pressure of 116/65, heart rate of 100, respiratory rate of 18, and temperature of 36° Celsius. The patient does not appear to be in any apparent distress and is sitting comfortably on the edge of the bed. Her physical exam reveals decreased range-of-motion on lateral neck flexion, and tenderness to palpation along her cervical spine, primarily in the C2 dermatome. The rest of her physical exam, including an in-depth neurological exam, is normal. A 22-year-old female with a history of nasal polyps presented to the emergency department (ED) reporting a polyp in her nose that she noticed several days prior, as well as a growth in her throat that appeared approximately eight hours prior to evaluation. She also reported chills earlier in the week as well as a sore throat. The patient had a history of nasal polyp removal several years prior, but was not currently being followed by Otolaryngology. On exam, there was a mass adjacent to the left lateral uvula, approximately 1.5-2 cm in length and 1 cm in width, appearing to originate from the palate. The mass was purple in color with some areas of scattered opacity. Tonsillar pillars and uvula were normal. There was a clear nasal polyp in the anterior left nare. The patient had bilateral submandibular adenopathy.